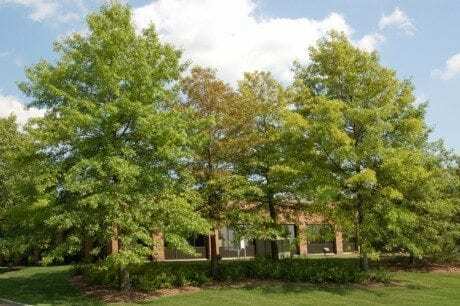 Before: The oak tree was identified as having a nutrient deficiency where treatment was prescribed to bring the tree back to health. After: After the properly prescribed treatment, these oaks returned to health and are once again a viable part of the landscape. Chlorosis Is A Nutrient Deficiency That Needs Attention. 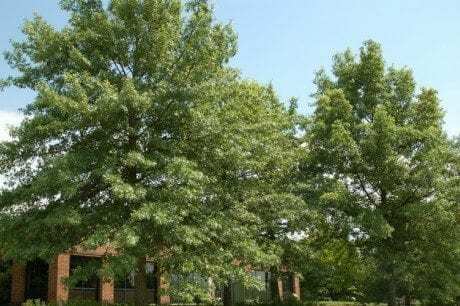 After discovering a nutrient deficiency in this oak tree, treatment returned this tree to a healthy state. 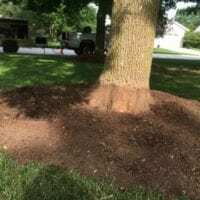 Excess soil and mulch around the base of trees is one avoidable tree issue that is a common issue in the landscape.